In order to get you and your colleagues registered for the correct pass, we have two ticket types listed below for you based on the type of company you are registering. All passes also include complimentary scheduled breakfasts, coffee breaks, and lunches (Sept 30 - Oct 2). What Type of Company are you registering? 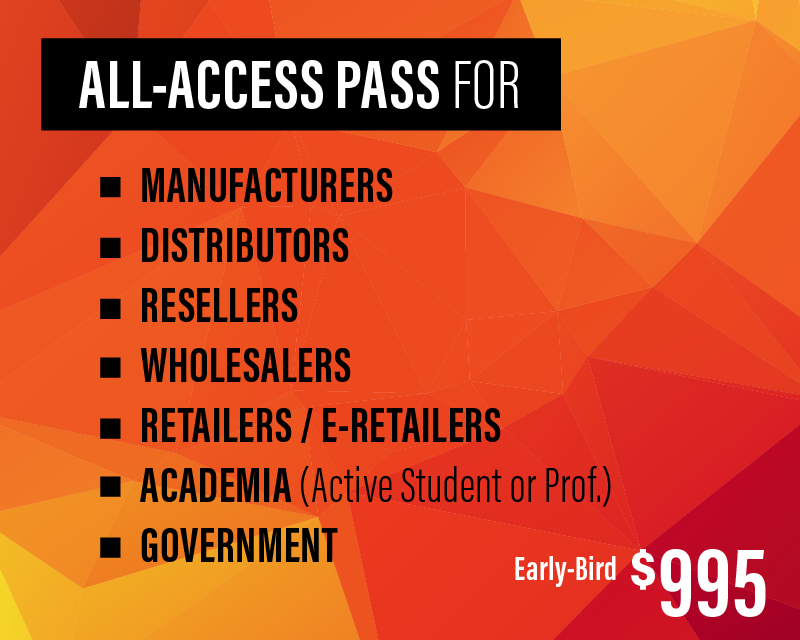 The All-Access Pass is for all manufacturers, distributors, wholesalers, resellers, and retailers (includes e-retailers). 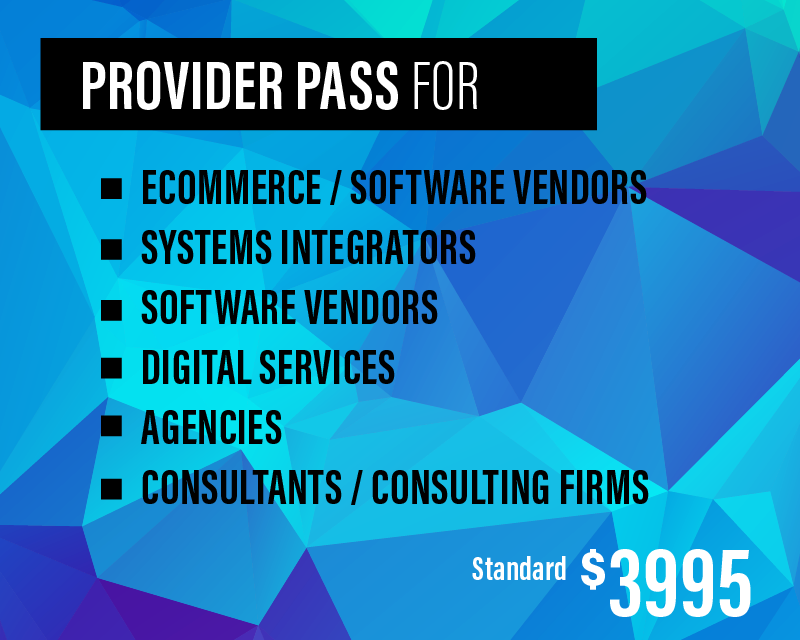 The Provider Pass is for all vendors, technology service providers, system integrators, consultants, agencies and other.